Fab Linen has supplied quality bedding, homewares and way of lifestyle items to its clients for more than a year. You can buy the best 2016 new collection of coverlets of top brands like Kas, Bianca, Bambury, Macey & Moore and choose your top picks. 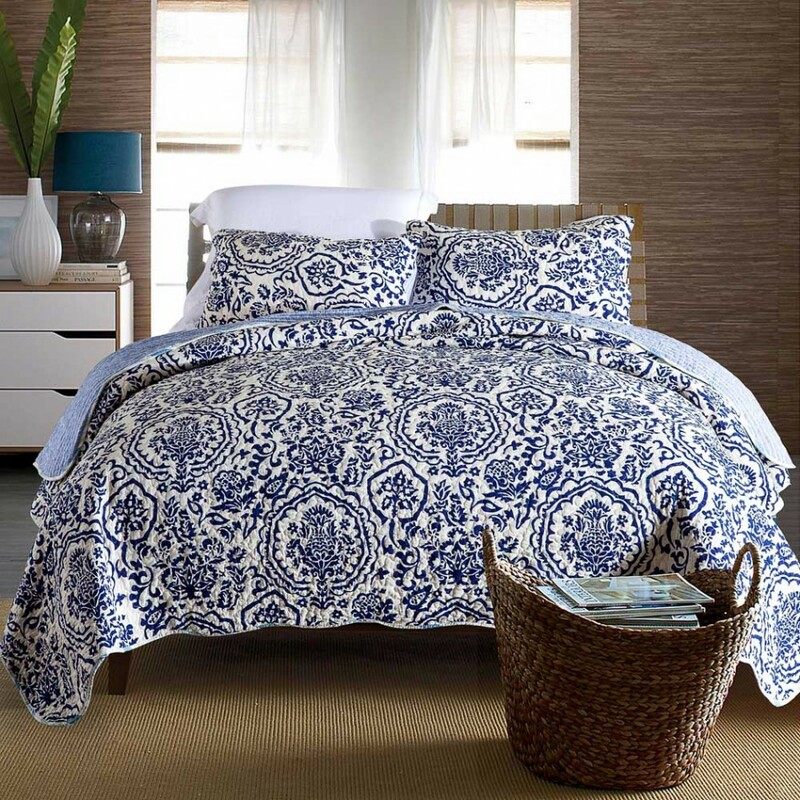 A stunning quilted coverlet and pillowcase set featuring a modern take on floral and paisley designs. Floral collage bed linen will make your bedroom styling sing with its vibrant colours of orange, pink and aqua on a cream ground. Reverses to a smaller floral design on a rich pink ground. Suitable for Double, Queen and King Size beds. Bring coziness and warmth in your bedroom with this beautiful. If you like classic and sophisticated bed ensembles, then this coverlet set is perfect. Featuring a gorgeous design, it will lend calmness and serenity to your bedroom décor. Suitable for Double, Queen and King Size beds. Classic 100% cotton coverlet set, ready to add style to the bedroom. Features a decorative chenille floral pattern. Made in Portugal from European fabric. Available in one size that suits both Queen & King beds 260 x 240cm includes 2x Pillow Shams. Inspired by South Asian rich heritage and elaborate designs, the Gemini coverlet architecture-inspired pattern is finished in a soothing indigo blue that complements any style. Suitable for Double, Queen and King Size beds.